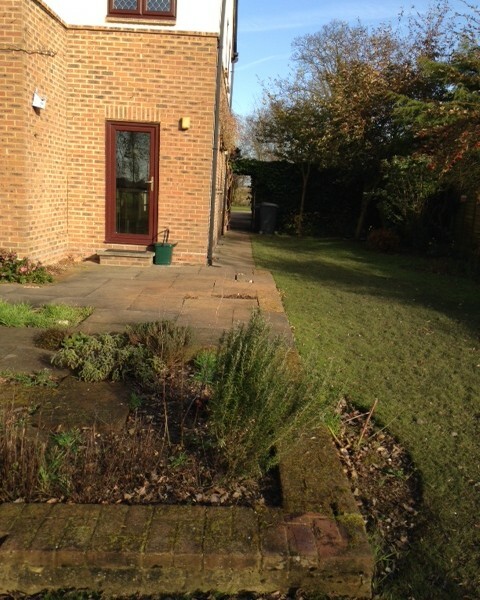 This lovely modern property set in the heart of the Essex countryside, has the most beautiful outlook, but the garden closest to the house was looking old and tired. 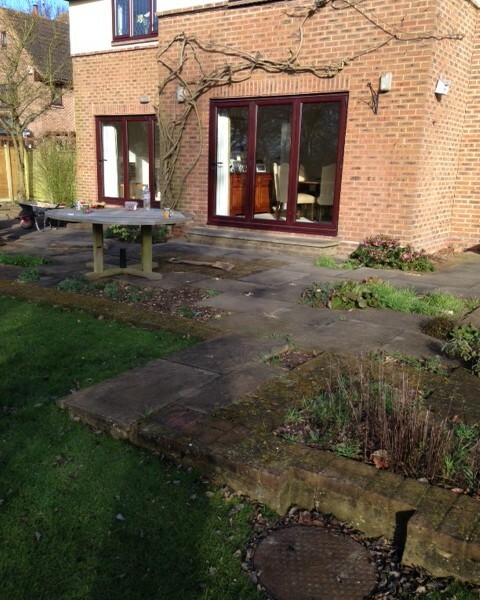 After much deliberation – and even more samples! 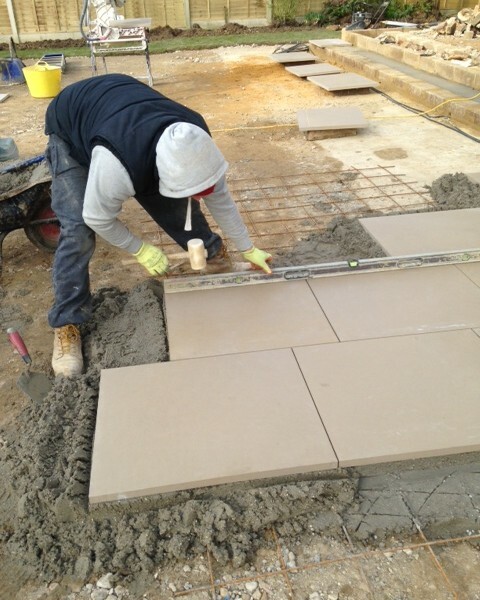 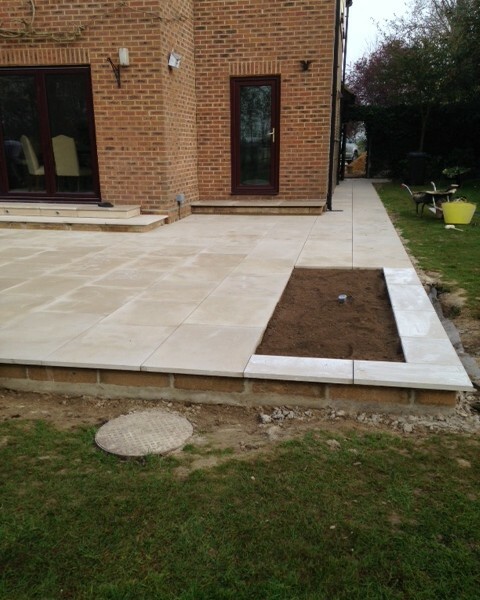 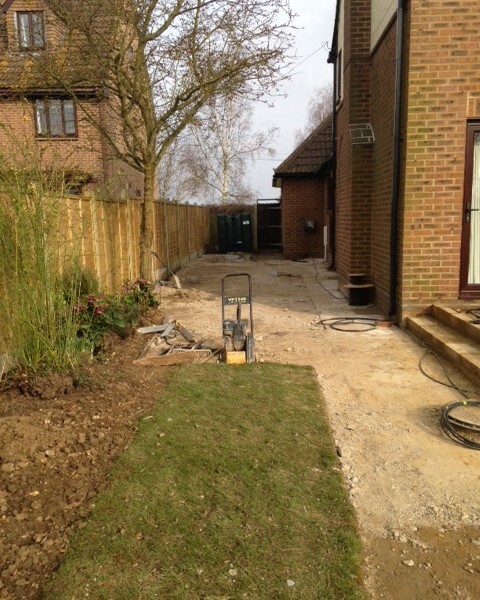 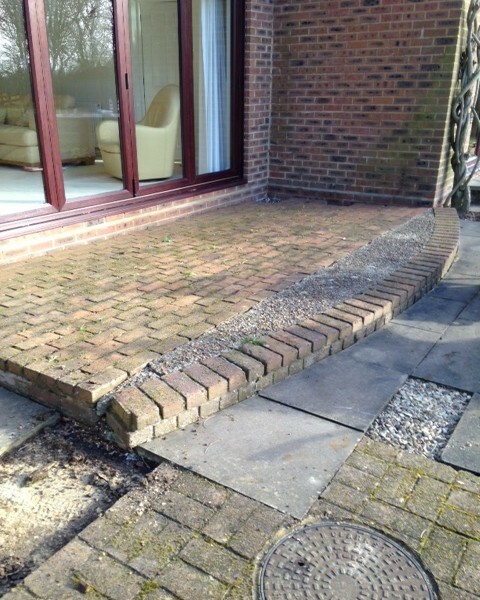 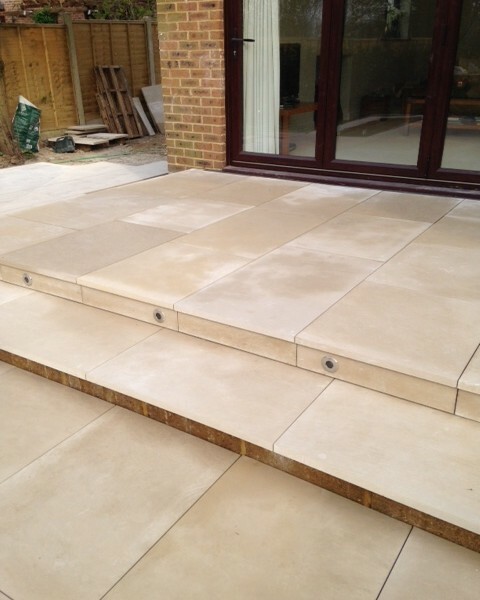 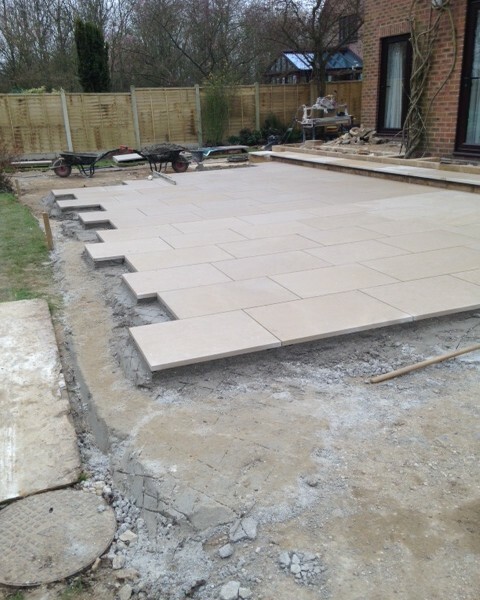 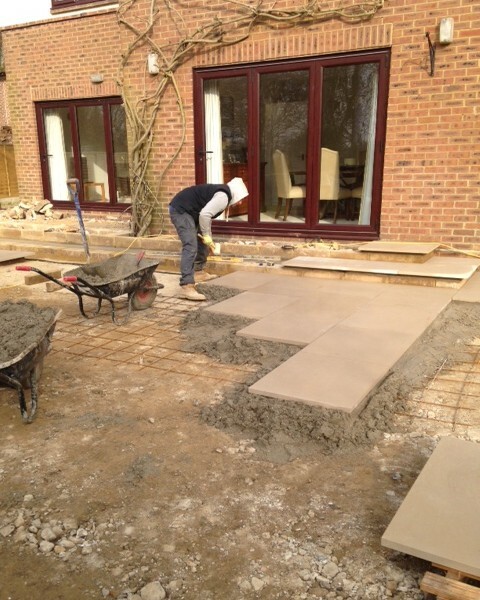 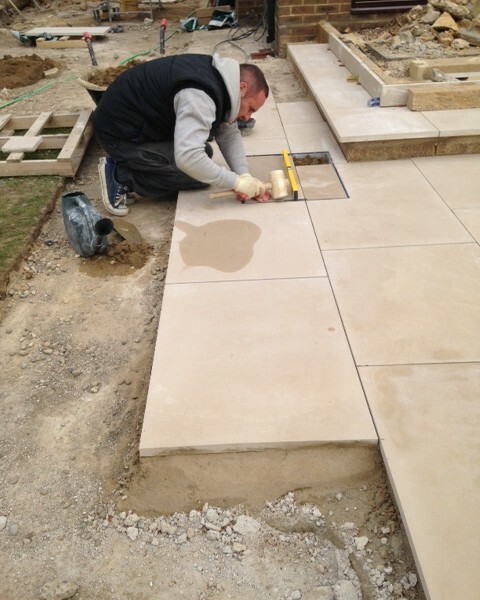 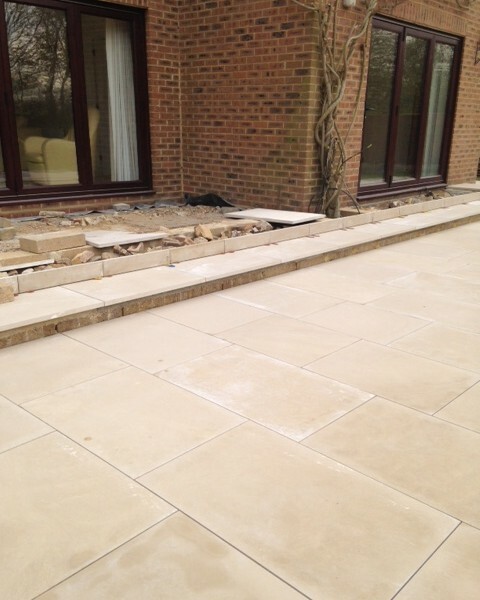 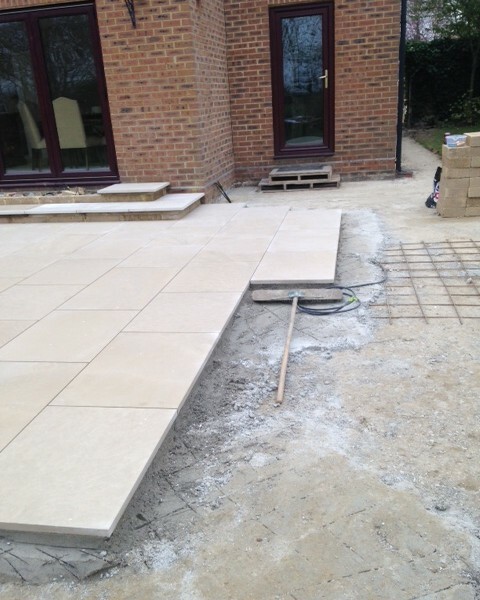 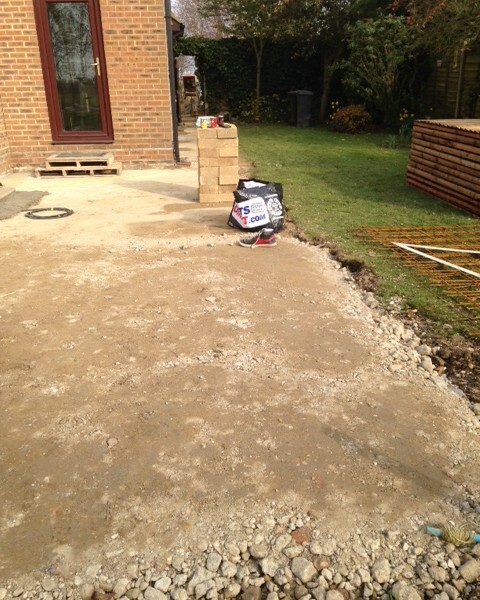 – this client chose one of our favourite contemporary paving products – pale sawn sandstone. 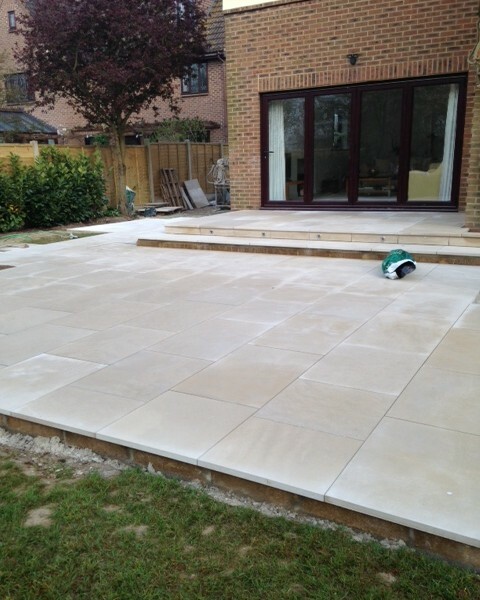 With lights by Hunza, and painted contemporary panelling by The Garden Trellis Company, a beautiful space for relaxation and entertainment has been created which will give pleasure for many years to come. 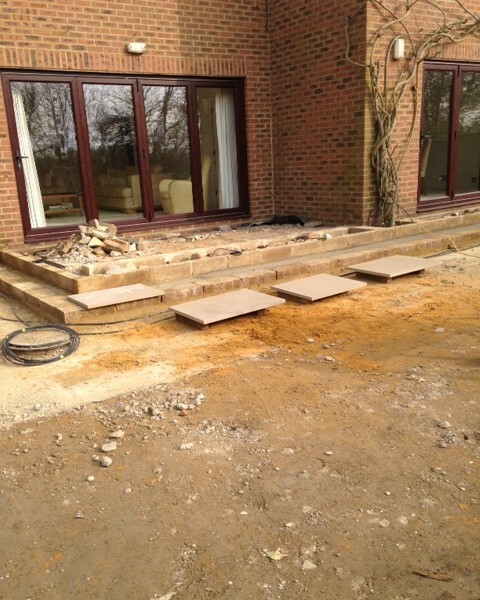 Final pictures to be published soon ….